Jack Constantine wanted to create a bath bomb-Metropolis- bath bomb, that lights up! Inspired by city life and the scent smells kind of like ‘Sunny Day’ mixed with and earthy and green scent similar to Lush ‘Autumn leaves’ bath bomb is how someone described it. The black/grey on it is meant to be the dust and dirt and smoke from the city. I was told that there may have been a reference to the drug abuse found in cities as well, but that part isn’t verified. 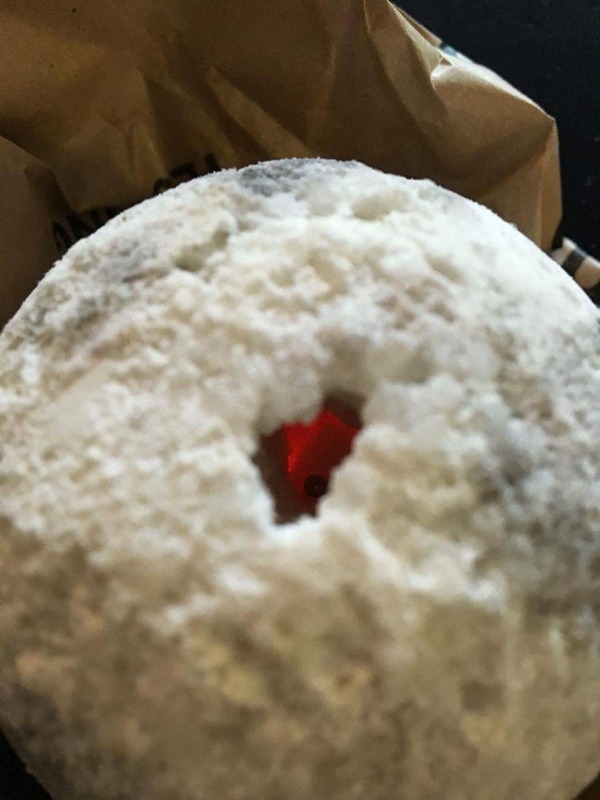 Inside the hole is the colored light, and it activates when it comes in contact with the water. I watched a demo of this and it looks so eerie, these different colors of light mixing with the water, it reminded me of that sort of rainbow sheen of colors that one sees on the top of a puddle of oil , except it’s moving! 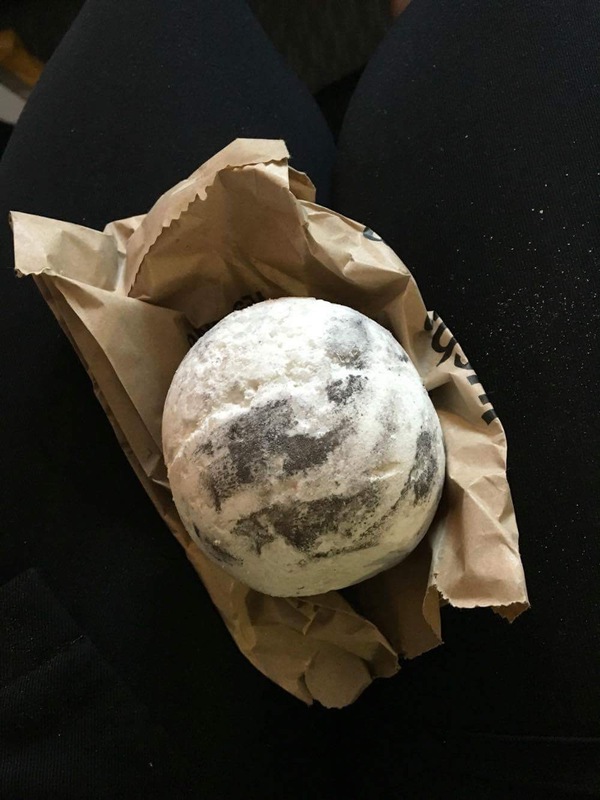 Posted on September 14, 2016 by Lushalot	• This entry was posted in Bath Bombs, limited edition and tagged lush christmas, lush creative showcase bath bomb. Bookmark the permalink.